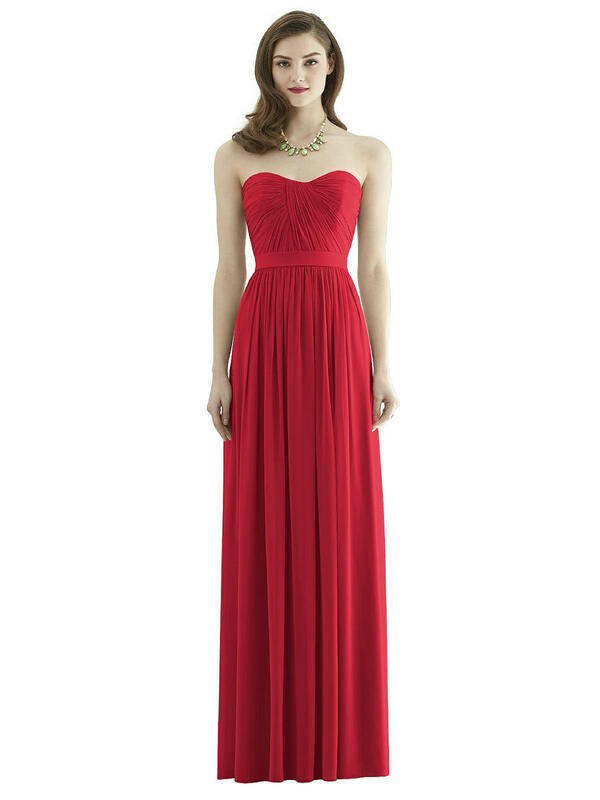 Long strapless lux chiffon dress has draped detail at front and back bodice. 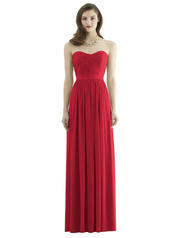 Slight sweetheart neckline and shirred skirt. Optional spaghetti straps.